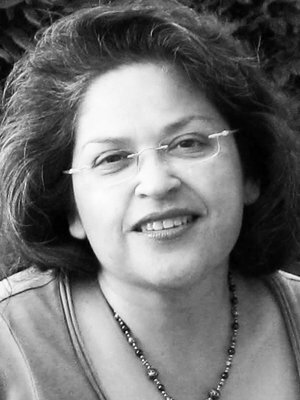 Cynthia I. Gonzales earned degrees in music education and music theory from University of North Texas and Harvard University. She began singing professionally in 1983 when selected for the inaugural season of Santa Fe Desert Chorale, where she served as Section Leader for four seasons and Company Manager for three. Cynthia joined Conspirare in 1996. She is Associate Professor at Texas State University-San Marcos where she serves as Coordinator of Music Theory and Aural Skills. Text-music relationships in German Lieder is her primary focus, particularly in early songs of Arnold Schoenberg. Cynthia serves as Music Director at First Lutheran Church, San Marcos.